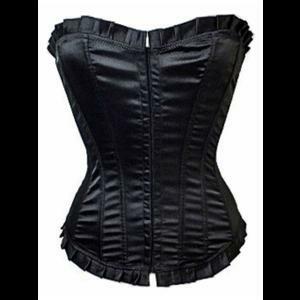 A classic gothic corset made from soft black satin with black pleated satin trim at the top neckline and bottom hem. The front fastens with two adjustable rows of hooks and eyes. 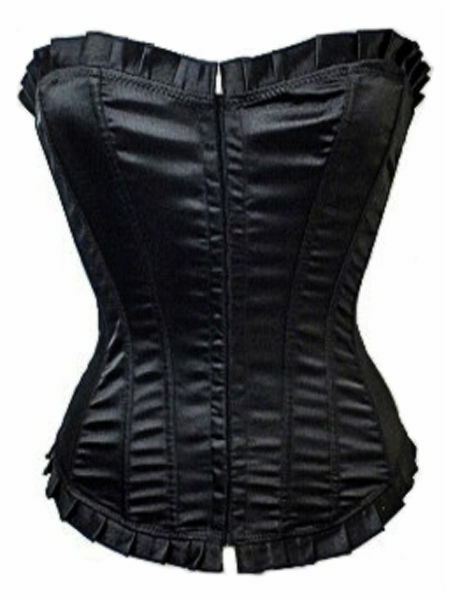 The back of the corset has metal eyelet and adjustable black satin ribbon lacing which can add up to 4 " (9cm) to the bust and waist measurements given below. 12 acrylic bones throughout.